Makkah is the birthplace of Mohammed, and according to Islam, this place is considered to be the holiest place in the world. The journey to Makkah is known as Hajj and it is mandatory for all Muslims to do hajj at least once. Makkah was initially ruled by the followers of Mohammed. Apart from Hajj, Umrah is another pilgrimage in Makkah. 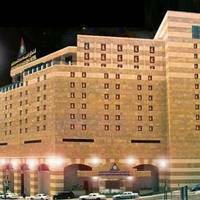 Over the years, the city of Makkah has undergone various expansions. 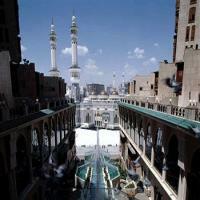 Reports say that the city of Makkah opens its door to over fifteen million Muslims every year. : Makkah is packed with tourists all around the year. The ideal season to book hotels is from the month of January to March. 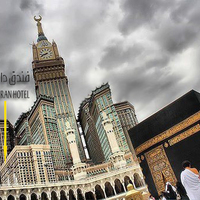 The temperature stays between 30 and 35 degrees, making it a pleasant time to book hotels in Makkah. 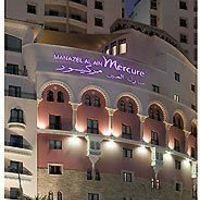 : Book a hotel, close to the pilgrimage site to save time on travelling. Do not book hotels, which are far away from the city centre. However, public transport facilities are easily available in the city. : Budget isn’t an issue if you book your hotels via Cleartrip. 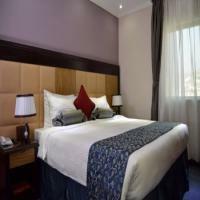 They provide you with discounts and hotels of different categories like star hotels, boutique hotels, etc. You can choose a hotel according to your budget. 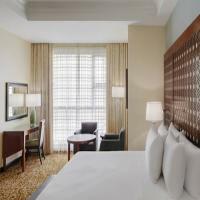 If you prefer luxurious amenities, then you can choose hotels having 3-4 stars. 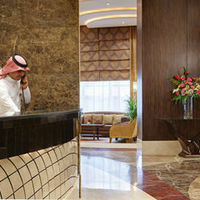 The 5-star hotels in Makkah provide unmatchable services. 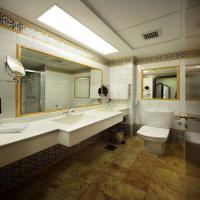 : Hotel reviews are a wise way to judge if a hotel is good or bad. Before booking any hotel in Makkah, do read what the visitors or guests are saying about their services. The mosque in Makkah is the largest and widely visited. The option of hotels near this place is in abundance. 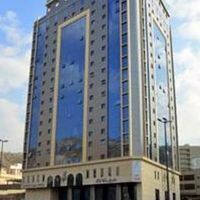 Elaf kinda hotel and Le Meridian hotel are two of the best options to go for. Hira is one of the oldest historical landmarks in Makkah. This cave is visited mainly for hiking. Hira is considered to be Muhammad’s one of the first reveals. 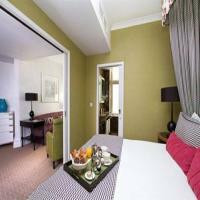 Coastal getaway apartments and cable bay nest are the two options to go for. 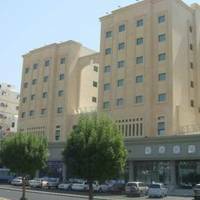 The prices of hotels in Makkah are not high at all. 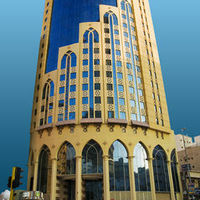 The prices of hotels are from 64 UAE Dirham to 1000 UAE Dirham i.e. 65.35 SAR to 1021.06 SAR. 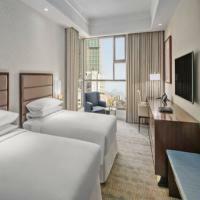 You can get the best prices of hotels at Cleartrip. How to reach to Makkah? By air- The way to reach Makkah is Jeddah airport. King Abdulaziz International Airport is their one of the busiest airports, and it is located at a distance of 107kms from Makkah. This airport connects Jeddah with all the major cities in Saudi Arabia and its neighbouring countries. This airport has a special hajj terminal only for those passengers travelling to Makkah for pilgrimage purposes. Chartered planes are mostly hired during this time. Apart from this, during Umrah, the airport makes use of other terminals. By road- Makkah is well-connected having multi-lanes highway of Route 15, Route 40, and Route 271. The city has its own SAPTCO services from different parts of the world to Makkah. The rush is higher on chartered planes as most of the pilgrims avail this option. The city of Makkah has two bus terminals, that is the main terminal and the city centre terminal. The city centre terminal buses are reserved only for Muslims and used for pilgrimage services while the main terminal busses are for all purposes and can be availed both by Muslims and non Muslims. Apart from this, there are many local buses, taxi services and micro buses which you can avail to travel to Makkah. Makkah has its own metro, Al Mashaaer Al Mugaddassah metro station which operates on five separate lines and is responsible for taking pilgrims to the site. Masjid Al Haram: This is considered to the sacred mosque in the world attracting over two million Muslims every year where a large number of rites are performed popularly known as the Hajj. Doing the Hajj falls under the criteria of five pillars laid down by the principles of Islam. This small 230 ft. hill is on east of Makkah in Arafat. Ji’ranah Mosque: This beautiful mosque is 20 km from Makkah located between Taif and Makkah. Located south of Makkah, this rocky hill is at a height of about 761 meters above the sea level. The Thour cave in this mountain is believed to be a sign of faith and hope. Abraj Al Bait: This is Makkah’s clock tower that has an adjoining five star hotel. 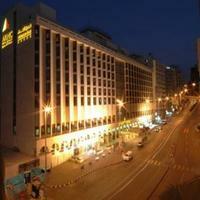 The location of the hotel is best suitable for those who are visiting Makkah for Hajj. This tower has over one twenty floors and over fifteen hundred guest rooms. Jabal Al Nour: Popularly known as the hill of illumination or the mountain of light is a popular tourist attraction. This hill has a cave which is considered to be a very important place for Islam. It is considered to be an ideal place for meditation. : People in Makkah have very less variations in food more because of its weather conditions. A number dishes were later introduced due to the advent of a huge number of tourists in Makkah. Important dishes of Makkah include rice, spices and vegetables. Famous food dishes include Al-Mandi and Shawarma. Soubiya is a drink which is made by mixing sugar, cinnamon and milk. The famous Arabian coffee, Gahwah is also famous. The people in Makkah are quite religious in nature and they are called as Emiratis. Their traditional attire is one of their prime attributes. : Makkah and the rest part of Saudi Arabia holds very rich cultural grounds and preaches the Bedouin traditional values. Due to its geographical location, Makkah is the crossroads of several cultures. People all over the world visit this place and make contributions in the field of science and philosophy. The people of Makkah are well rooted in Islamic and Saudi cultures. Arabic is the main language spoken in Makkah. : Makkah doesn’t have a lot of shopping places. Yet, there are few malls which attract a good number of crowds. The Makkah mall is well-known for its variety of branded stores. Located south-west of Saudi Arabia, this city has a nice pleasant climate and frequented by many tourists. Its distance from Mecca is 232 km. Second holiest city for Muslims, Medina is at a distance 339 km from Mecca. Distance from Mintaqat al Bahah to Mecca 211 km. Makkah falls within the range of hot desert climate. During the winters, Makkah isn’t cool at all. During winters, Makkah witnesses an average temperature of 18 degree Celsius while during the summers being extremely hot and disturbing; the temperature shoots up to 45 degrees. In the month of the November and January, rainfall is experienced in low amount. Even though rainfall is scarce in Makkah, still it is vulnerable to flash floods. It is because Makkah is situated in a low lying region. In December, temperature ranges between 26 and 33 degrees. The temperature is high during these months and tourists are lesser compared to other times of the month. Hotel prices fall during this time. The weather is pleasant and drizzle is witnessed. There is moderate rush during this time. It is better if you book hotels in advance. This is the best time of the year to visit Makkah. The temperature ranges between 30-32 degrees Celsius which makes it favourable to visit the city. Various events in Makkah are organised around the lifestyle and history of Prophet Mohammed. The struggles and sacrifices that was done by him. The events act as a catalyst in redefining the religion and its beliefs. Most of the festivals and events occurring in Makkah do not encourage the participation of non-Muslims. The conquest of Makkah is another famous event which is celebrated as the Muslims established their hold in the city after eight long years. Eid Ul-Adha occurs during the time of Hajj apart from that Ramadan is a very important event within the Muslims. Jinadriyah National Festival: Among all the religious festivals occurring in the city, this is the only festivals that are free from all religious boundaries. This festival promotes the culture of Arabia. This festival lasts up to two weeks and it showcases the different culture including music, tradition and richness.